I love public transportation. I think I have spent over half of my life on LA Metro buses, NY Subway cars, Amtrak trains, university shuttles, airplanes, Fung Wah buses, and other means of getting around without a car or in my private jet. I am, in fact, writing this blog post on a San Diego MTS bus. I took this picture of a bus that caught on fire at the SD Old Town Transit Center last year, and I STILL ride MTS. That’s how much I love public transportation. I love public transportation. But sometimes, the smell is just too much to handle. The worst offense, in my opinion, is when a fellow rider opens up pungent meal in the confines of the bus or train car. I admit, I may have eaten a chicken & rice plate or two on the 1 train before, and there was that one time my best friend and I rode for 45 minutes with two slices of Artichoke pizza and three Major Munches from S’MAC… but I have never committed the most heinous crime: eating fish on a bus or train. But that crime has been committed against me. The smell of fish in an enclosed space is a crime I can never forgive, even if the culprit hasn’t opened the fish container. Just the smell of fish is enough to infuriate me…. This is how the old Kerin would react to fish smell… (also, I’ll take any excuse to post a Liz Lemon GIF). This week, our favorite gene is flavin-containing monooxigenase 3 (FMO3). FMO3 is highly expressed in human liver and is important for the metabolism of xenobiotics, such as pesticides, therapeutic drugs, and nitrogen-, sulfur-, and phosphorus-containing dietary compounds1. 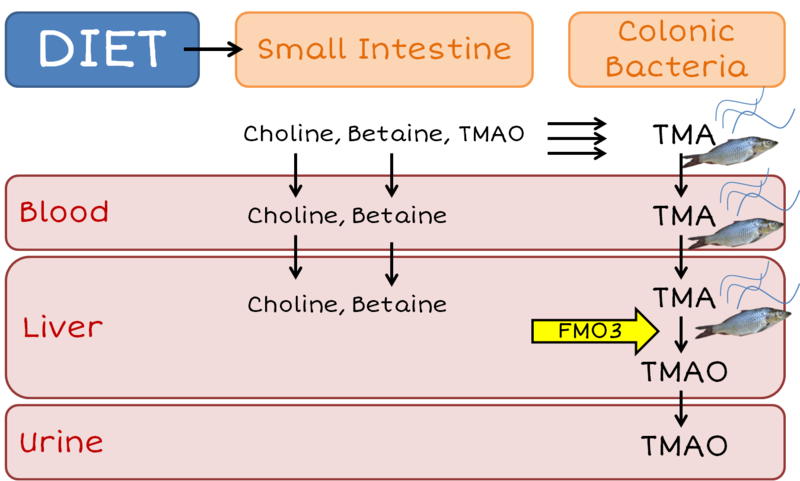 The primary target of FMO3 is trimethylamine (TMA). TMA comes from the breakdown of trimethylamine N-oxide (TMAO), choline, and betaine. With FMO3, TMA is broken back down to TMAO. So what does this have to do with fish on a bus? Well, TMA smells like rotting fish. TMAO does not. TMAO metabolism. Adapted from Mackay et al. (2011) by yours truly. Some unfortunate souls have loss-of-function mutations in the FMO3 gene. This results in the build-up of TMA, which is excreted in their urine and sweat, and detectable in the breath. Fish-(mal)odor syndrome, or trimethylaminuria (TMAU), is real. Akello was kicked off the bus for carrying a suitcase filled with fish…not trimethylaminuria and not a good idea!! Seriously, TMAU can have sad consequences. TMAU can even have sad consequences (though arguably less so) for those of us with fully functional FMO3 when it affects our food. Cows7, chickens89, and quails10 can also suffer from the disease! This results in a fishy off-flavor or odor in our food. Thanks to the recent sequencing of FMO3 in these and other animals11 (including minipigs! ), genetic screening can help breeders eliminate these foul-smelling fishy non-fishes from the milk and egg production line! Genetics: 1, fish-smell: 0. 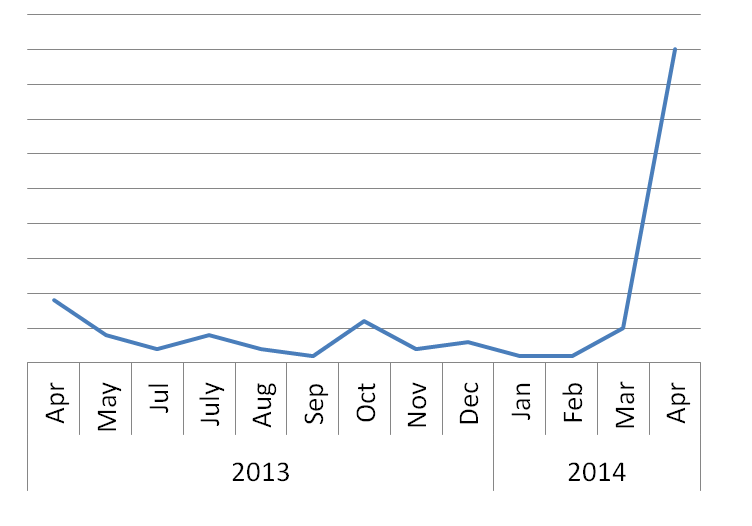 FMO3 had a recent spike in popularity, probably because everyone is excited that minipig FMO3 has finally been sequenced12! !